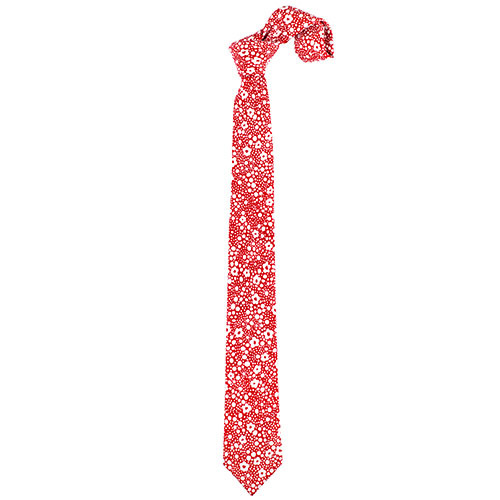 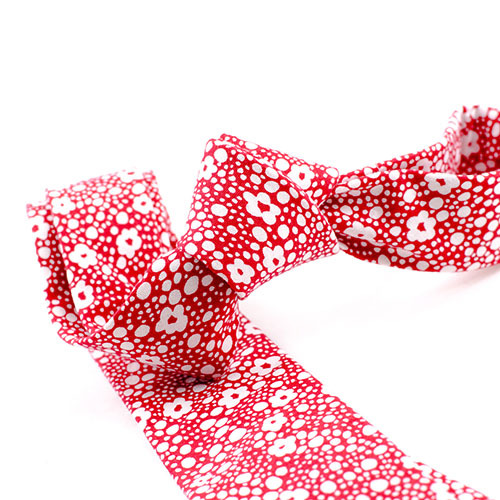 Bright red tie with petite white flowers in a scattered pattern. 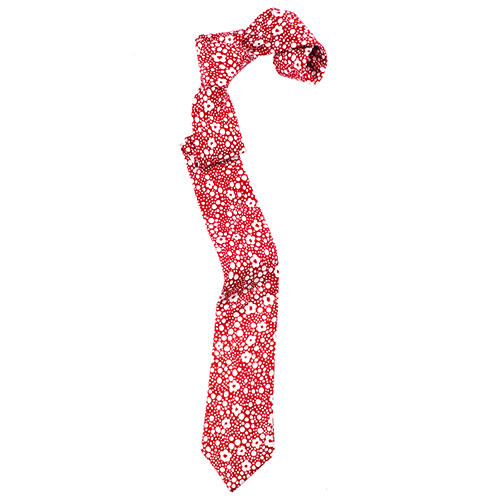 The smooth cotton fabric gives this tie a less shiny surface which goes well with the stark contrast of the colors and pattern. 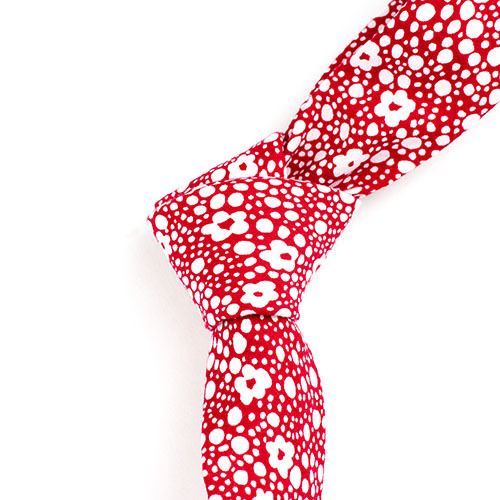 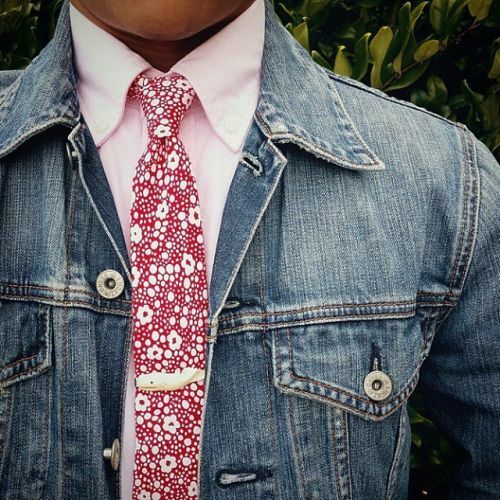 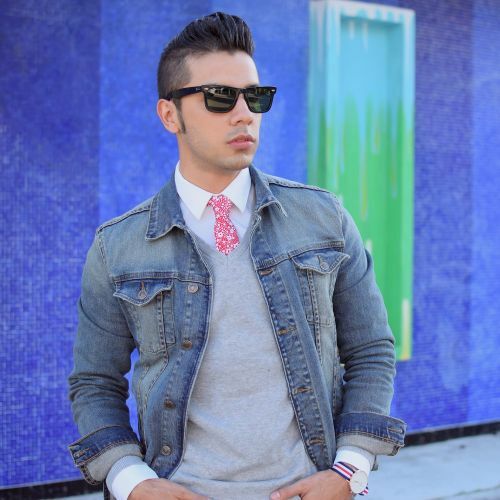 We at Ulterior Motive recommends this tie when your goal is to dress to impress.